Sean Dyche was left relieved after Burnley benefited from some good fortune in Saturday's 2-1 win over fellow strugglers Fulham. 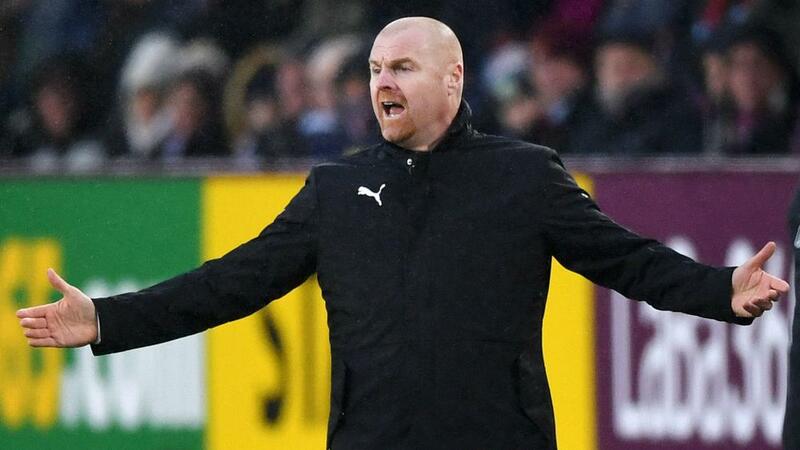 Burnley moved three points clear of the Premier League relegation zone with their victory, though it was by no means an emphatic triumph as they failed to register a shot on target. Andre Schurrle gave visitors Fulham the lead with a sensational volley after just two minutes, but Burnley bounced back and ultimately won thanks to two own goals. Jeff Hendrick was key for both, as Joe Bryan deflected his shot in, before Denis Odoi headed the Irishman's cross past Sergio Rico. As a result, Dyche cut a reassured figure at full-time. "I am very pleased, a lot of hard work has gone into that from the players, not just physically," Dyche told BBC Sport. "Some of our performances have been OK, but details kill you at this level. Big moments make a difference, as we saw today; James Tarkowski makes a brilliant block on the line and today it stayed out. "A lot has been asked of us this season, we have come out of a real sticky first half of the season. "We are not interested in selling any of our players. I believe in all of them. We have had a bit of luck today with the own goals, but we haven't had much this season." Fulham defender Tim Ream concurred with Dyche in saying Burnley were fortunate. "We are massively disappointed," Ream told Premier League Productions. "We started really well and then conceded possession quite a bit. "In the second half we showed what we are about and we were unlucky not to put one away. "We couldn't get close in midfield, they outworked us [in the first half]. At this stage, you can't get outworked. We conceded too many crosses as well, that's their bread and butter. Eventually they will score. "We can look back and think what could have been, but the own goals were really their only chances."